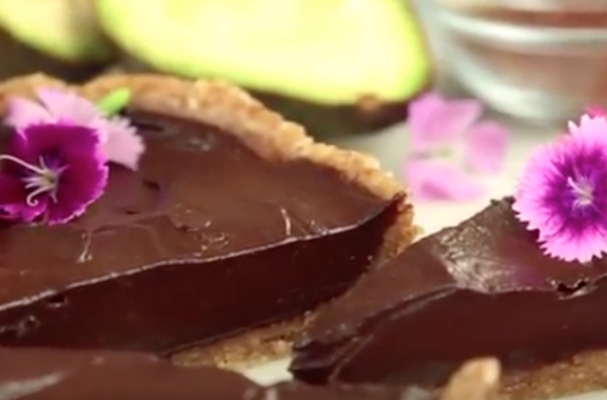 Raw chocolate avocado tart is an indulgent yet healthy dessert. Avocado is the secret ingredient because it creates a velvety smooth filling. In addition, the nutrient packed food is rich in fatty acids to help rejuvenate the skin and support cellular health. Since this is a no-bake dessert, you can prepare it all summer long without working up a sweat.